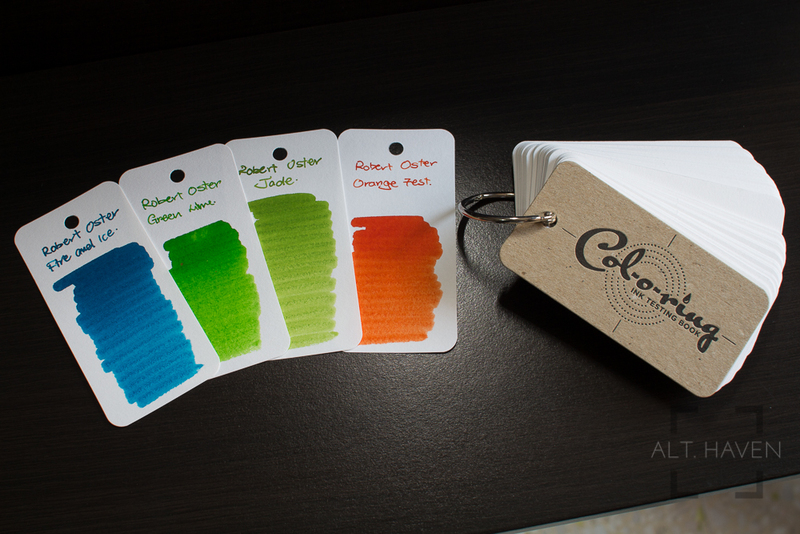 My thanks to Glenn for the gift of the Col-o-ring Ink Testing Book! Some years back, I was reading all about the rage for Maruman Mnemosyne Word Book as a ink swatch booklet but I couldn’t find it anywhere in Singapore so I got an alternative from a now closed stationary shop. It was the 111 Sheets Word Cards by Raymay. It worked well but the size and shape of the cards are just too long and narrow for my preference. Now in 2017, the Chair at the Well Appointed Desk has swooped in to save the day with her Col-o-ring Ink Testing Book. 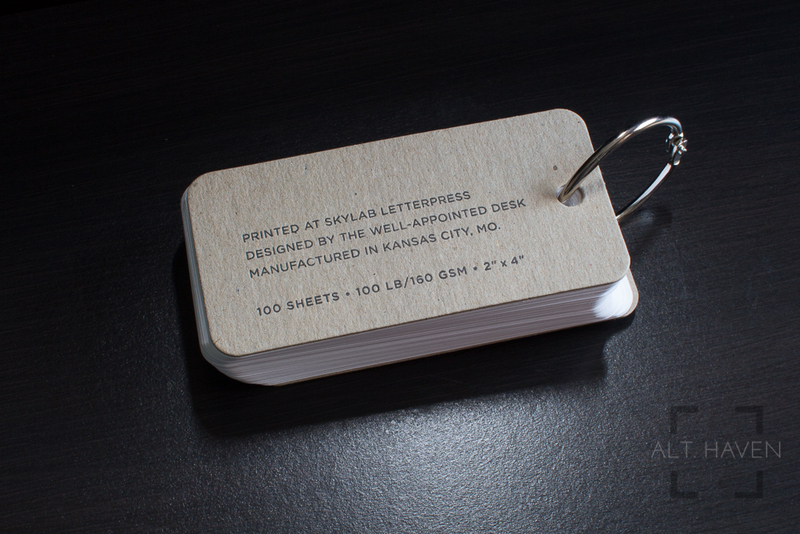 It is printed at Skylab Letterpress and designed by Ana specially as an ink swatch booklet. It retails at USD$10 (excluding shipping) and has 100 rounded edges pages. Each page is made of 160 gsm natural white paper that’s cut to a 5cm by 10cm size and then sandwiched between thicker card stock on the front and back. It is secured via a binder ring which allows rearranging of the cards. 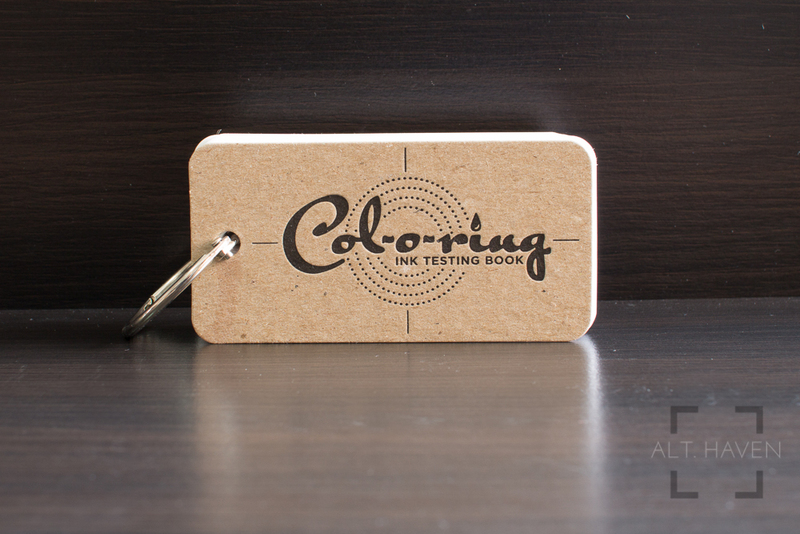 The Col-o-ring is a much better size with more than enough space for a large colour swatch and some written notes. The paper is smooth but not wholly without texture. If you hold it against the light you can see very slight ripples on the surface of the paper. 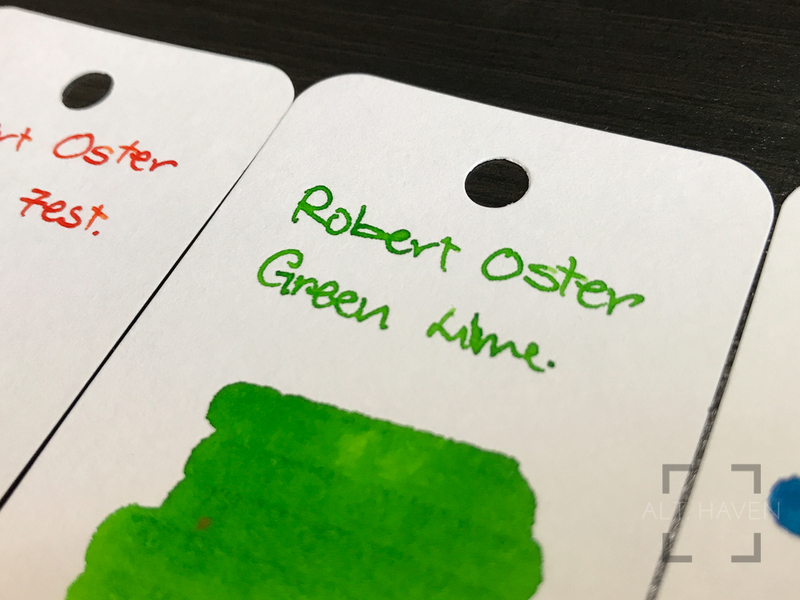 The European paper chosen can present sheen if the ink has sheening properties. Shading comes up beautifully on the Col-o-ring book. 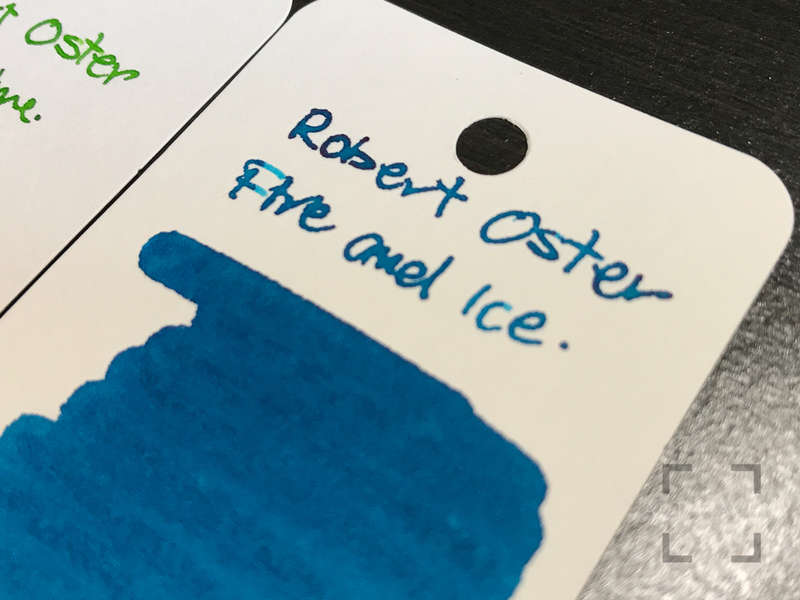 Currently the Col-o-ring books are not available locally but you can order them from directly from Well Appointed Desk or from Anderson Pens, Vanness Pens, Wonder Pens (Canada) and they are coming soon to Cult Pens (UK), Notemaker (Australia), Pen Classics (New Zealand).